Resolve UK is a nationally Accredited Mediation Panel approved by the Ministry of Justice with Mediators in London, the Home Counties and across the UK. We have more than 25 years experience of successfully resolving disputes. We assist individuals, business, legal professionals, local authorities, private and commercial enterprise. Our Mediators have assisted all sections of the community and judged the Finals of the UK and International Mediation Competitions. Excellent Mediators. Professional, courteous, highly knowledgeable and highly effective. 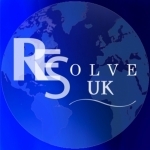 Resolve UK resolved dispute quickly and effectively saving both cost and time.